The Portuguese arrived in India through the sea route and used to pass through Bay of Bengal to reach their destination. En route they noted some magnetic disturbance that would pull their ships towards Sea Shore and will break them. 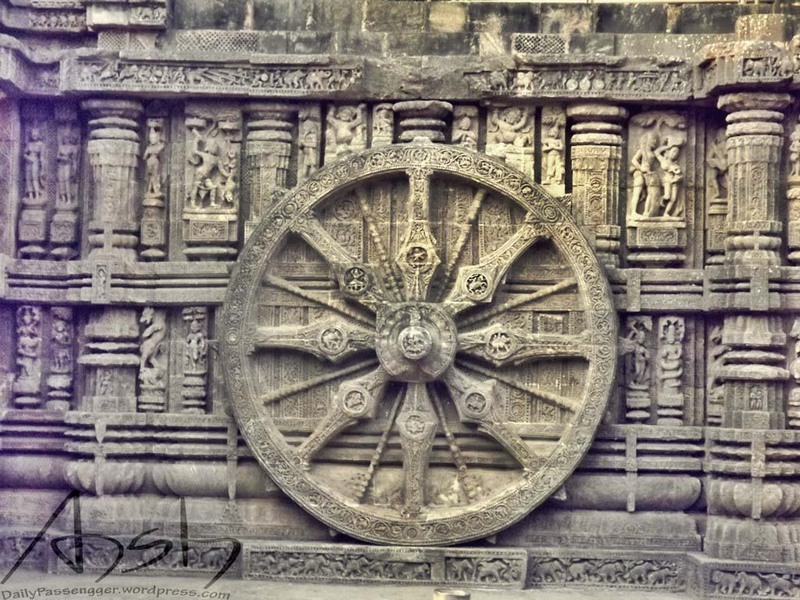 They finally discovered a temple a in Utkal region (now known as Odisha) standing totally on support of a powerful centralized magnet that was pulling ships from a distance and breaking them. Finally Portuguese got that magnet removed and in process broke the entire structure of that temple. 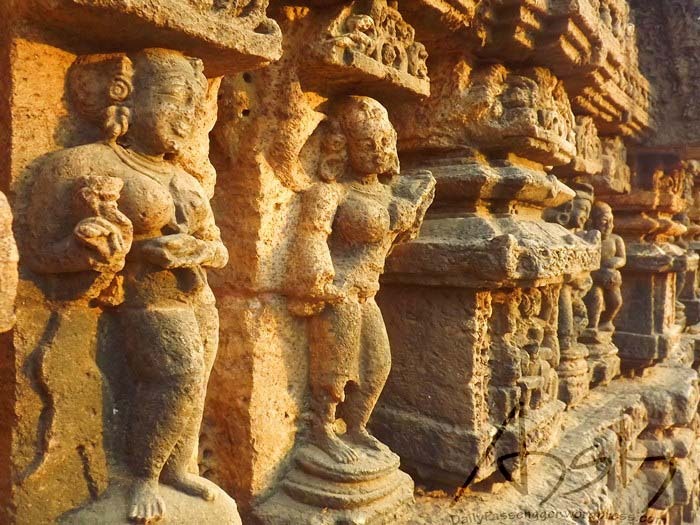 Today Sun temple stands at one of the architecture marvel that is counting its days and UNESCO is working hard to protect it. The magnet and the huge iron rods however just live in stories and lie at a corner of the temple. Sometimes eves dropping is good, I travel alone listening stories that they guides tell other tourists and you get a little for yourself without paying anything and I do that at every tourist site without making an impression that I am ogling at the tourist’s wife (it happened once). 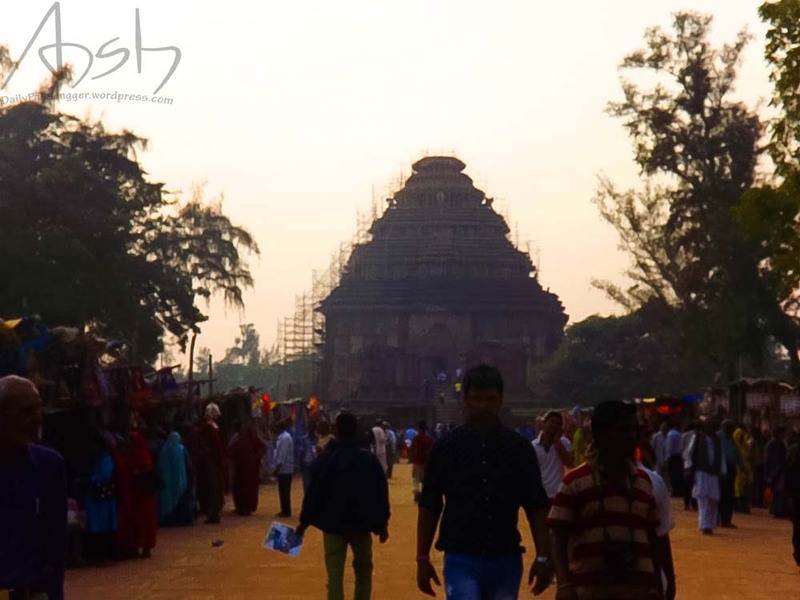 I started from Puri in the evening making sure that I reach there before the sun goes down. 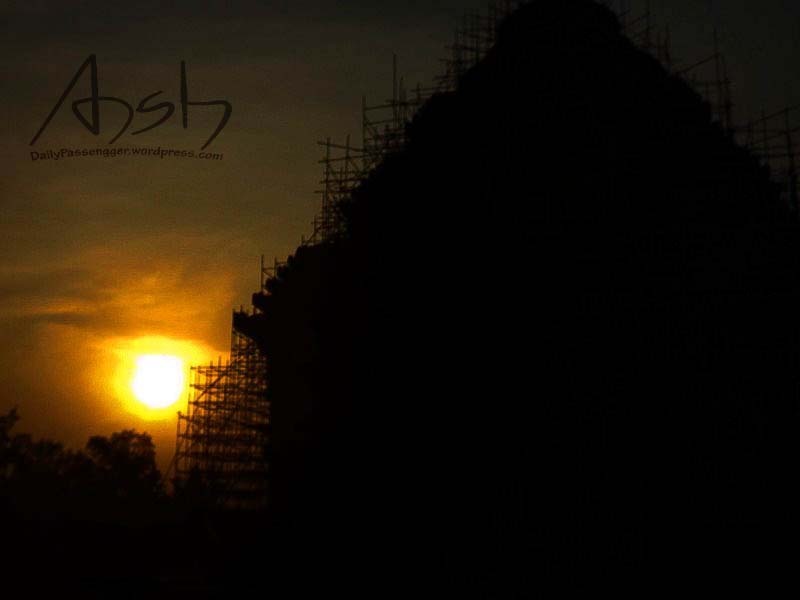 They say that Konark temple looks beautiful during sunset. They don’t call it Sun Temple for nothing. I could hear people talking about legacy of this temple and the stories that they place has. Once upon a time the sea shore used to fall right next to the temple has gone a few kilometers back, today known as Chandrabhaga beach one on the most pristine beaches in the state. The water is so clean that yearly International Surf festival is organized here. The temple is constructed in such a way that the central temple stands with four temples, one in each corner. Each of these temple was supported by a massive Iron Pillar that in return supported that entire temple structure by the magnet in central temple. When the magnet was removed the temples began to fall. The British tried to take those iron Pillars with them but they are so heavy that the train broke down. The railway line they constructed can still be seen in the temple premises. Another story associated with this temple is that the chief engineer promised that he’ll construct the temple with 10000 labors, not a labor more not a less. When counted at the end of the construction project he found that there was a labor extra. His ego was bruised to such a level that he jumped off the temple and committed suicide. I collected some stories and returned to my place. 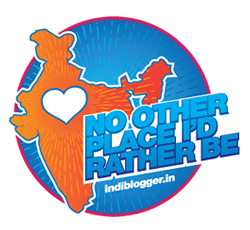 My trip for Odisha ended for now and I had a new destination to reach.